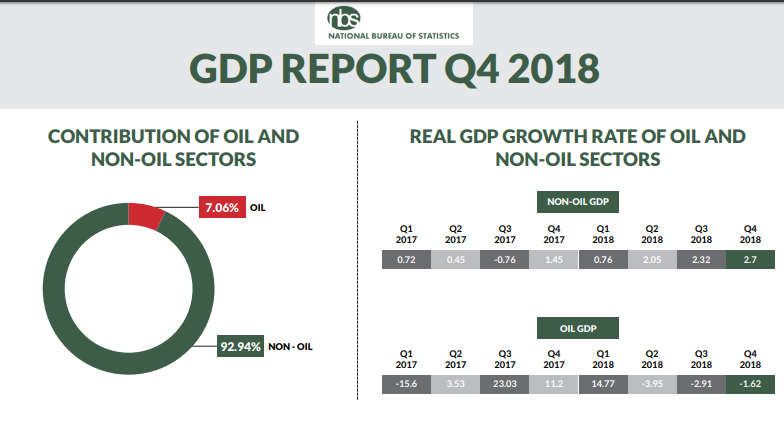 The National Bureau of Statistics on Tuesday released the country’s Gross Domestic Product report for the fourth quarter GDP with the economy recording a growth rate of 1.93% in 2018. 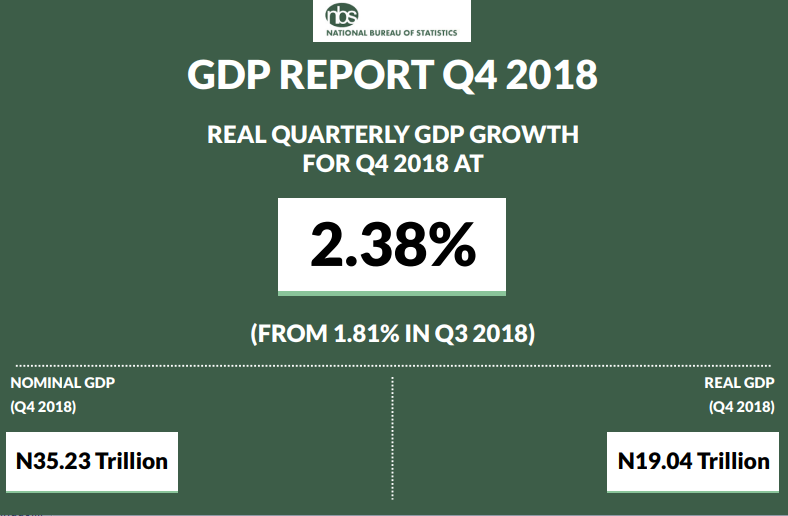 According to the report, the GDP grew by 2.38% as against the 1.81% recorded in the third quarter. 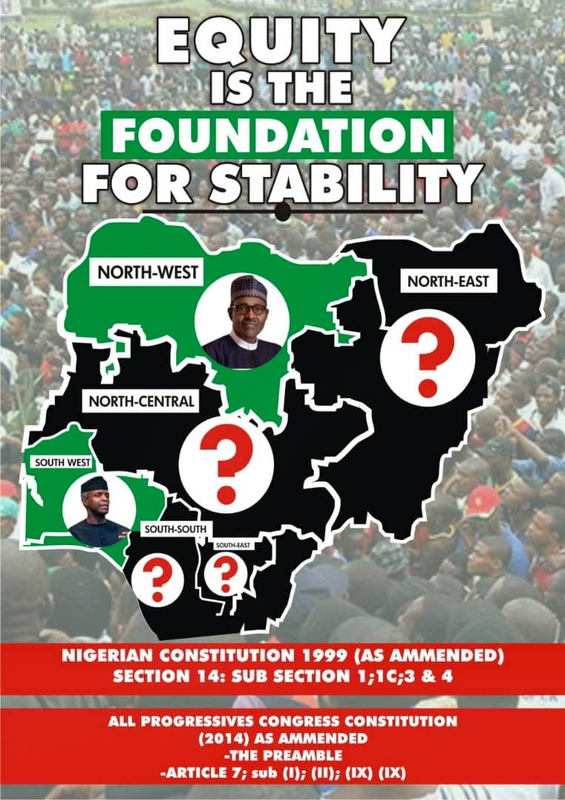 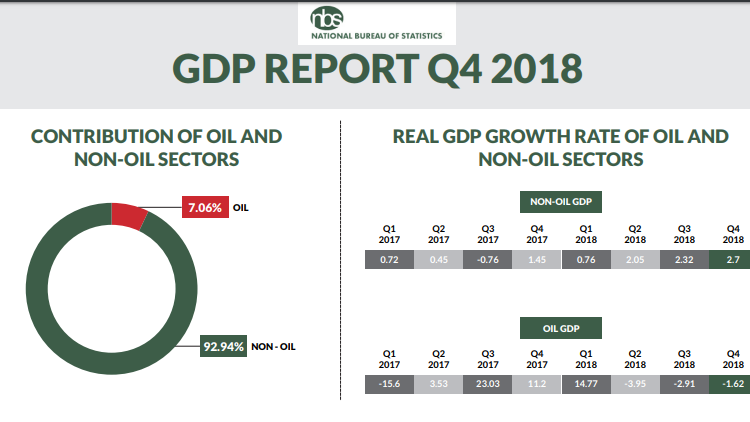 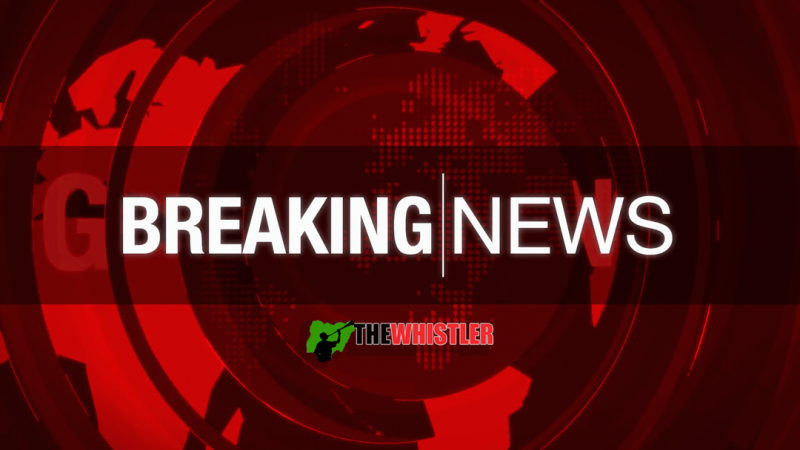 “In the fourth quarter of 2018, Nigeria’s Gross Domestic Product (GDP) grew by 2.38% in real terms (year-on-year). 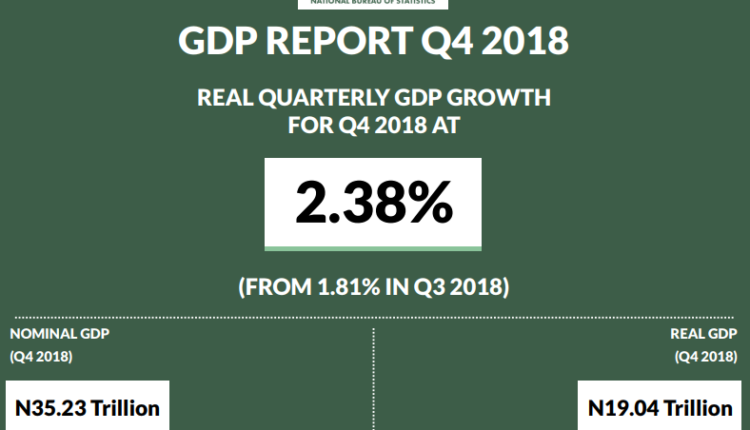 This represents an increase of 0.27% points when compared to the fourth quarter of 2017 which recorded a growth rate of 2.11%. 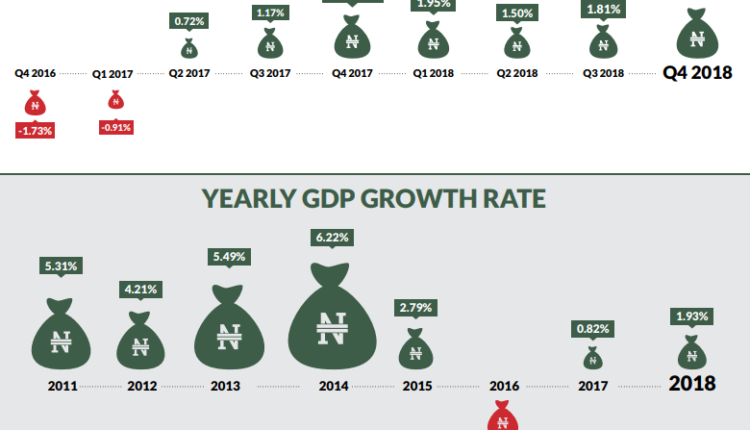 It also indicates a rise of 0.55% points when compared with the growth rate recorded in Q3 2018 on a quarter on quarter basis, real GDP growth was 5.31%.,” the report read. 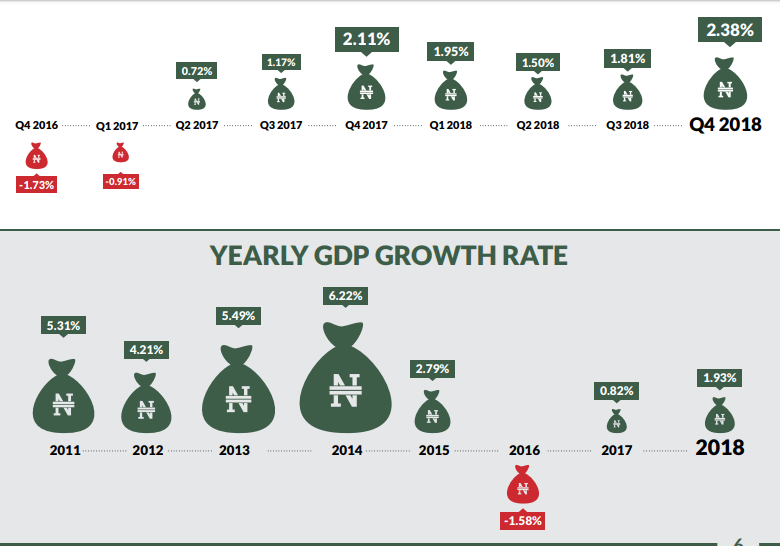 “The fourth quarter growth performance implies that real GDP grew at an annual growth rate of 1.93% in 2018, compared to 0.82% recorded in 2017, an increase of 1.09% points.